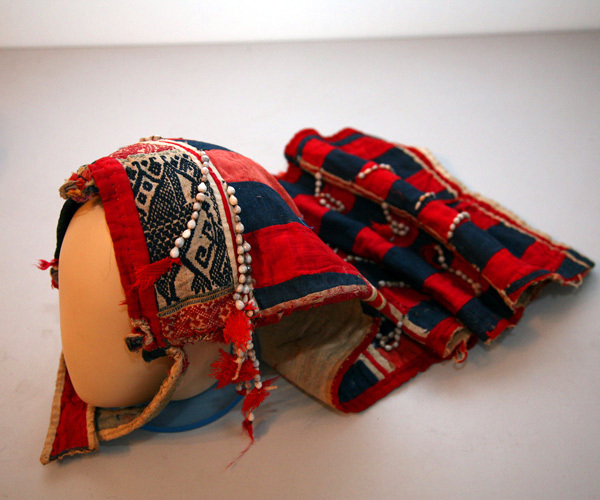 The costumes of each of the peoples of northern Vietnam differ not only by style, but also by colors and composition of geometric patterns. 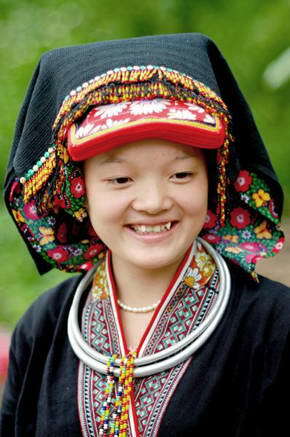 The Nung people are related to the Thai- Kadai, and they inhabit several provinces of Vietnam; the Nung are close to the Zhuan of China and the Thai of Vietnam. They are famous for their clothing of indigo color, which wore their popular leader Ho Chi Minh when he returned back to Vietnam from exile in 1941. This is a long wedding mantle and it reaches nearly five feet.